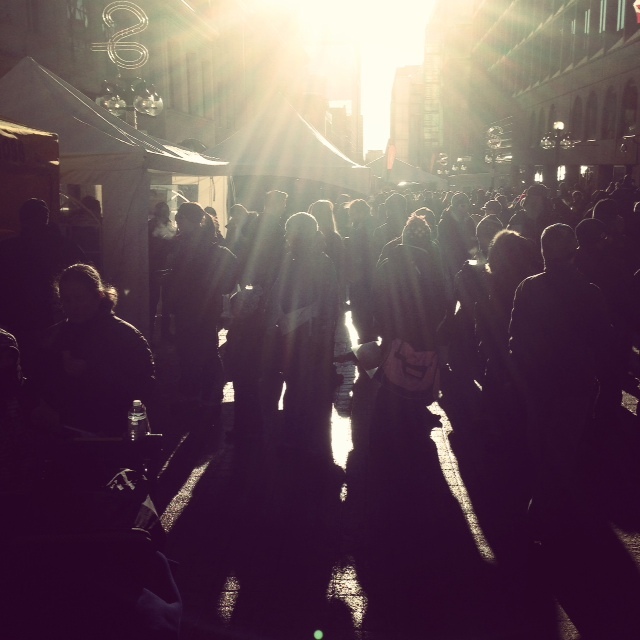 This weekend I managed to not so accidentally stumble upon Sparks Street Mall in Ottawa for Winterbrewed, the winter weekend beer festival put on by the folks at National Capital Craft Beer Week. Of course, downing ice cold beer for a couple of hours in the great white (urban) outdoors proved somewhat challenging as the fingers stopped working. However, other than that, and the initial line to get tokens, the event was pretty great. First off – who would have thought a few years ago that Mill Street and Beaus would become the Budweiser and Coors Light of a beer festival. 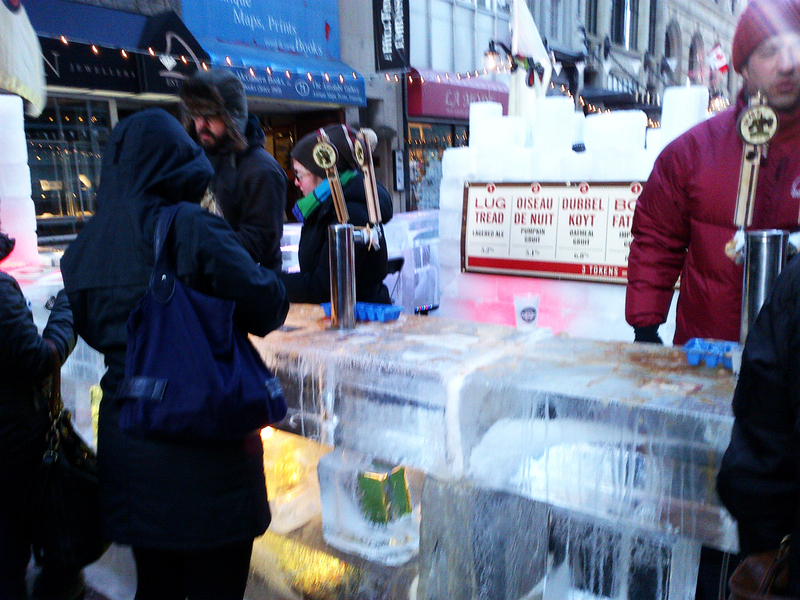 Both had big tents at the festival ends – Mill Street had a DJ; Beau’s had a legit shiny ice bar that puts the ACC’s Smirnov/Weisers zone to serious shame. Second, it was nice to partake in the Ottawa region’s craft beer scene that has really grown up over the past year and a half. No longer just about Beau’s and Kichesippi, Cassel Brewery, Ashton Brewing Co., Hogsback and Big Rig were all well represented. 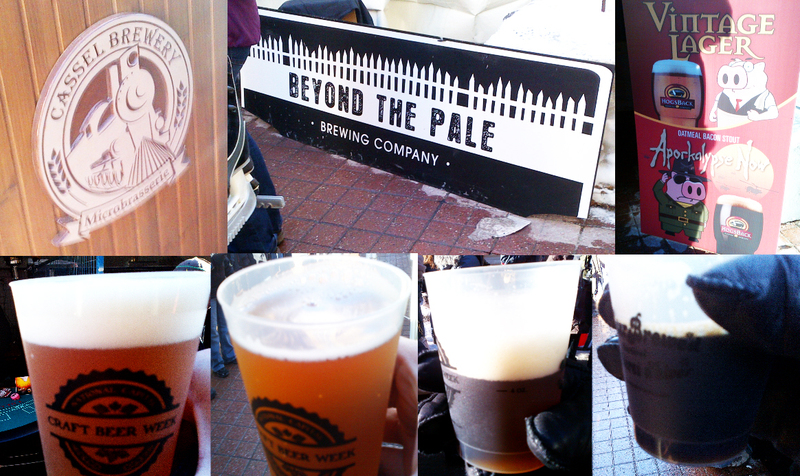 – Standouts among in my books included Broadhead Brewing Company and Beyond the Pale. All summed up, Ottawa is now a legit beer destination. 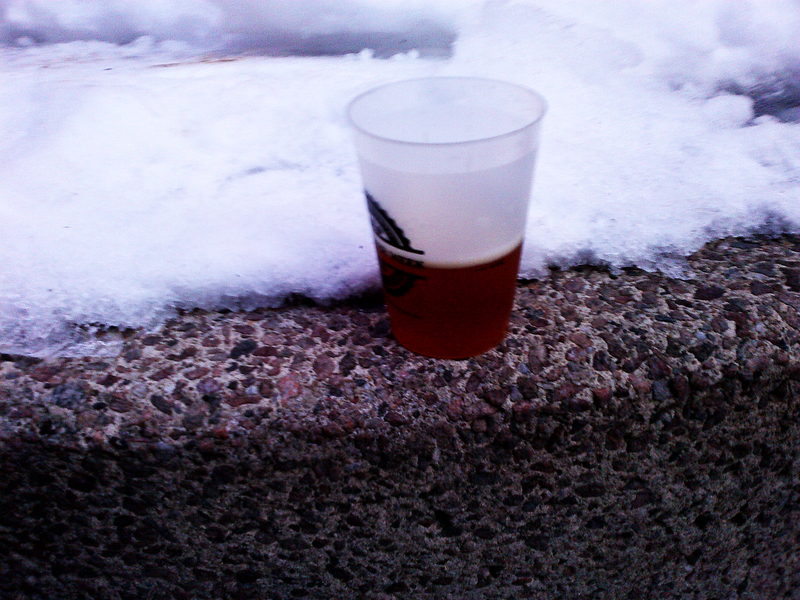 Third, street beers are a wonderful thing. 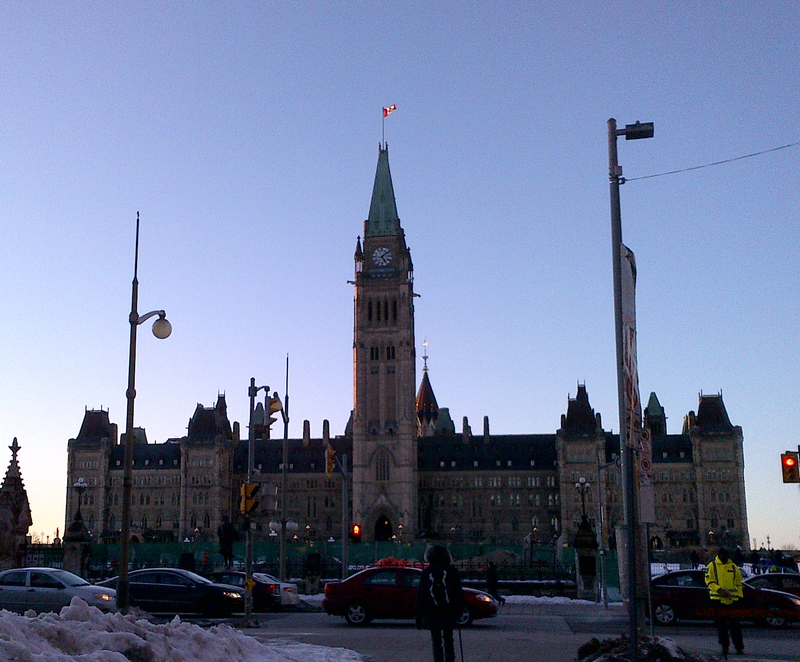 Doing it a few blocks from Parliament is nice too.